For most homeowners, staying within a predetermined budget is a pressing renovation concern. In a perfect world, money would be no object when it comes to crafting the house of your dreams. Sadly, that’s rarely the case for the average homeowner. The good news is that you can achieve impressive remodeling results without going bankrupt by heeding the following tips. Unless you’re a contractor with decades of experience, it’s likely that you’ll hire professionals for your remodel. Labor costs being what they are, it makes sense to do as much of the job as you can yourself before calling in the experts to finish up. For example, knocking down drywall isn’t rocket science. Speaking of contractors, it’s important to know how to work with home improvement professionals to get the best results and prices. Get a few different quotes for various aspects of your remodel from an array of contractors before hiring anyone. Remember that cheaper isn’t necessarily a bargain if the job isn’t done properly. Although almost anything can be bought online, there’s no substitute for holding building materials in your hands. Actually go to a hardware store and compare different shutter frame styles or different flooring tiles in person when you’re planning home upgrades. As a bonus, bricks-and-mortar stores actually beat online prices a surprising amount of the time. If you plan your remodel well in advance, you can save tons of money by buying various items at the most opportune times. 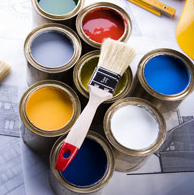 As with any class of goods, home improvement materials fluctuate in price throughout the year. Do a little research online to draw up a purchase schedule and be on the lookout for bargains. Far too often, people assume that they need to buy new building materials to achieve a stunning look for their homes. The truth is that salvaged hardware can be just as aesthetically pleasing if not more so than new materials. Hardwood timbers are particularly well-suited to reuse in remodels. Do a little digging and you’ll find plenty of bargains on used wood and stone in your local area. Manufactured goods like vintage kitchen and light fixtures can be purchased online. In many home upgrade scenarios, the best way to save money is by focusing on energy-efficient materials. Electricity and heat end up costing homeowners a chunk of change over the lifetime of a house. Even if you have to spend a bit more upfront for hyper-efficient materials, they’ll eventually pay for themselves in reduced energy bills. The key to locking down substantial savings on any home upgrade budget is planning. Unless you’re in a big rush to sell a house or beat a harsh winter, patience is your friend when remodeling. Execute upgrades incrementally in a logical fashion to not only save money but achieve the best possible outcome. Your method of telling everything in this article is genuinely nice, all can without difficulty be aware of it, Thanks a lot. Hello There. I discovered your weblog the use of msn. That is an extremely well written article. I’ll make sure to bookmark it and return to read more of your useful information.